Please join us for the next meeting of the South County Democratic Club on Wednesday, April 3rd at Pirates Cove in Galesville - 4817 Riverside Dr. Dinner and networking will begin at 6:00 pm, and our program will begin at 7. 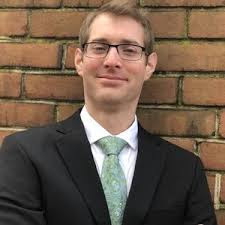 This month, we will be hearing from Matthew Johnston who was named Anne Arundel County's Environmental Policy Specialist on February 11, 2019. Matthew analyzes environmental and sustainable policies for the County Executive’s Office. He previously served as the Chesapeake Bay Program’s Senior Environmental Policy Analyst where he worked with stakeholders across the Chesapeake Bay watershed to design solutions to combat environmental degradation. Matthew will be sharing information about our county's environmental initiatives as well as taking questions from our members related to our very own south county environmental issues.